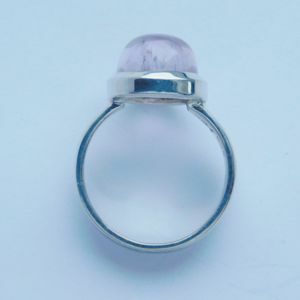 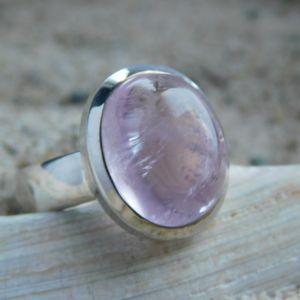 This absolutely stunning Kunzite cabochon is set in a Sterling Silver bezel. 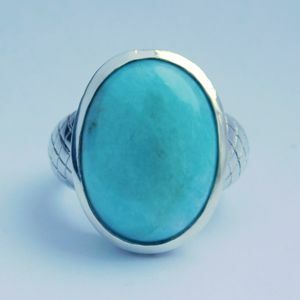 The oval-shaped gem measures 15 x 10 mm and the ring size is US 8. 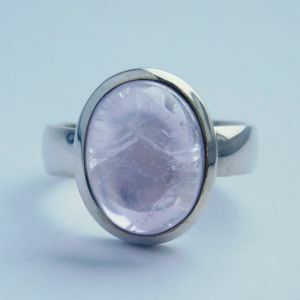 Kunzite, the pink to light purple gem variety of the mineral Spodumene is named after the mineralogist and jeweler George Frederick Kunz who first catalogued it in 1902. 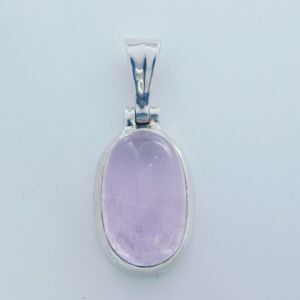 Kunzite is pure in energy and joyful in nature. 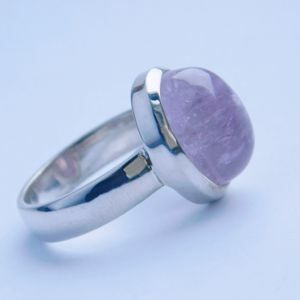 It is a Stone of emotion, opening and connecting the heart to the mind and stimulating a healing communion between the two. 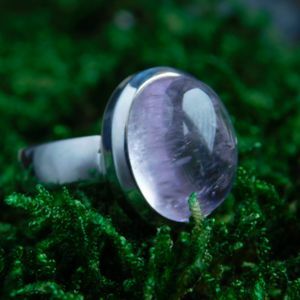 Kunzite encourages one to release walls built around the heart for protection, and to be receptive to the experience of unconditional love. 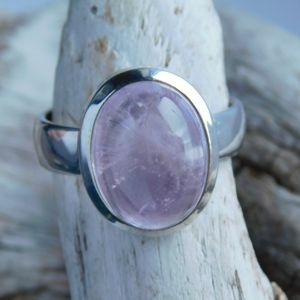 High heat or sudden temperature changes can cause breaks in Kunzite. 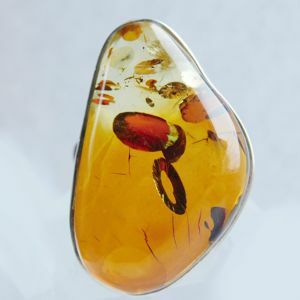 The gem’s colour can fade with prolonged exposure to heat or intense light.